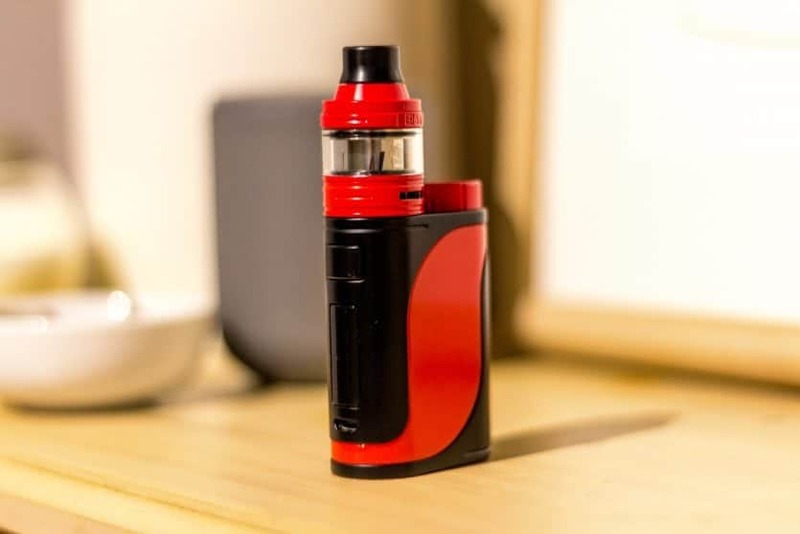 Eleaf certainly needs no introduction here as they have been steadily producing popular products for quite some time now and iStick reviews have been all but glowing. Let's get going and see how this Eleaf device performed, shall we? I would like to thank Heaven Gifts for sending us the Eleaf iStick Pico 25 kit to us for the purposes of this review. What's in the Eleaf iStick Pico 25 Kit? The packaging on the Eleaf iStick Pico 25 kit is fairly plain, coming in a predominantly green box with a silver product picture on the front. Inside we have a two-tiered packing internally to the box. On the top, there is the iStick Pico mod, tank and the expansion glass. When you pull up the ribbon, you get to the bottom tier which is holding the USB cable, another coil, extra wide drip tip, expansion adapter, and manuals. Overall the packaging is very secure and will ensure that the goods reach you in good condition after being in transit. Upon inspection of the iStick Pico itself, it initially looks very smart. I received the red and black version and the theme carries all the way through the mod to the tank as well. 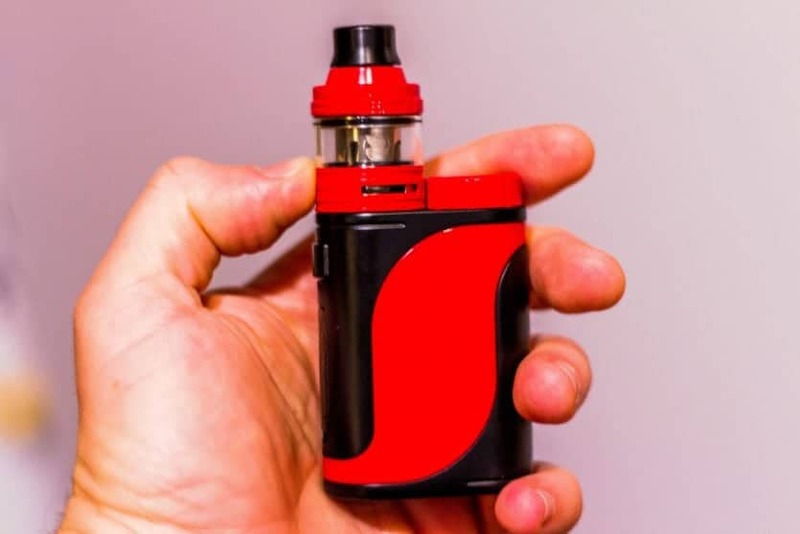 The body is made from acrylic and aluminium, which helps the mod in terms of weight, however, doesn't feel cheap or flimsy by any means. The finish is nice and smooth and it feels good in the hand. It's not a dedicated stealth mod. However, it is one of the smaller devices and would be quite covert if you needed it to be. Up top is the gold plated 510 pin with stainless threading next to the 18650 battery cap. The battery cap is matched to the color accent on the mod and is easily removable with nice threads. The battery orientations are clearly marked on both the cap and the bottom of the battery tube. On the curved side of the mod there's a fire button which feels nice and clicky and doesn't have any rattle. Below that is the 0.91" screen and then the 2A micro USB port. On the bottom of the mod, there are battery ventilation holes and the +/- selection buttons. The selector button is an oval shaped rocker switch that is recessed into the bottom of the mod and feels nice and clicky to adjust. It also doesn't have any rattle, which is fantastic. It seems mod makers have been listening to us known haters of rattly mods! The Ello tank is 25mm in diameter and, as mentioned before, comes in the same color scheme as the iStick Pico mod, which makes it very matchy-matchy. The tank has a super comfortable curved drip tip and also comes with a wide bore chuff cap, if that's what you prefer. There is no inclusion of a 510 adapter, so you cannot run your own drip tips on the Ello. You will have to make do with what you get. Underneath the drip tip, is a sliding top that slides across to expose a kidney shaped fill port. The sliding mechanism on Pico is nice and smooth and easy enough to get back and forward with little effort. The glass section comes with a 2ml reservoir already installed and a 4ml section that you can change to with the aid of a chimney adapter. It would have been nice to see a replacement glass of each size, however you do have the options of a smaller or larger tank depending on your requirements. The base of the tank is where the dual airflow can be adjusted. It moves freely from fully open to fully closed and will stop at either end, it does not fully free flow. Inside is the base where you screw in the coil and the top section screws into the coil, the glass is held between those two components. A fairly simple, straightforward design that we have seen many times before. Overall a really good looking and feeling mod and tank kit from Eleaf. There are plenty of color options to choose from being black and red, silver and black, fully black, blue and white or green and white. 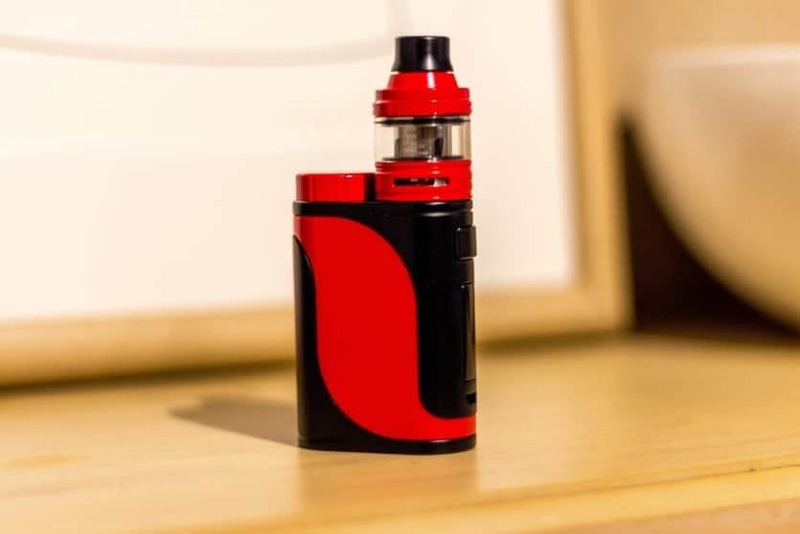 To install the battery, you simply screw off the battery tube cover and insert the 18650 with the positive end facing towards the bottom of the iStick Pico 25 mod. Then screw the cap back on and your set to go. Before you fill the tank with liquid, I would recommend priming the coil by dripping some down into the wick itself and around the wicking ports. To locate the sliding mechanism look for the word "open" on the top of the tank and slide it forward from there. The fill port is large enough to accommodate pretty much any needle nose bottle top or dripper that you would have in your collection. If you wanted to swap for the bigger glass, you need to screw the chimney adapter on before you screw down the top. This is very straightforward and quite foolproof to do. If you have owned or operated an Eleaf mod before, the menu system will be familiar to you. Five clicks on the fire button will turn the iStick Pico on or off. The - button and fire button together will enter stealth mode. Three clicks of the fire button to change modes. In TC mode, click the fire button four times to change the wattage. Hold both the +/- buttons together to engage the key lock. Whilst the mod is powered off, hold the -/+ buttons for two seconds to flip the screen. Hold the + button and fire button to access the preheat functions. The 2A micro USB port can be used for charging your battery or upgrading the iStick Pico via firmware updates available from the Eleaf website when released. There are two coils that come with the tank, one Eleaf ELLO Mini HW1 Single Cylinder SS316L 0.2ohm Atomizer Head for Variable Wattage or SS316L TC Mode (Recommended: 50 - 65W) and one Eleaf ELLO Mini HW2 Dual Cylinder Kanthal 0.3ohm Atomizer Head for Variable Wattage (Recommended: 45 - 60W). On both coils, there is a definite break-in period for around 15 to 20 puffs where you can taste the cotton. Once this goes away the full flavor starts to come through. The HW1 performed best at around 40 to 45 watts. If I went up above 50 watts I would get a constant burnt taste. I would say that you need to just vape it where it tastes the best to you personally and ignore the recommendations on this one. The HW2 provided a better, cleaner taste and there was definitely better vapor production on it. This coil performed best at around 60 watts and after the break-in period it was providing some stellar flavor. Quite a satisfying vape here and this would be the replacement coil that I would buy from here moving forward unless Eleaf comes out with any further developments. In regards to the mod itself, iStick Pico 25 performed well in wattage mode without any issues. I did experience some misbehavior when trying the HW1 in temp control mode. It would work for a period and then randomly kick me back out into wattage mode. This leads me to believe that maybe I just got a dud HW1 coil, which may have also contributed to the burnt flavor and the misbehavior of the mod. This is more than likely as prebuilt coils can do that from time to time. It would be unfair of me to say that TC mode was faulty before ruling out the coil. When it did work, it worked well and provided a satisfying experience. The iStick Pico 25 mod also has three memory slots and a bypass mode. The memory slots allow you to store three custom TCR values and the bypass mode makes it like a mechanical mod. There is also a preheat function that can be accessed when the mod is powered off, good for giving your coils a little kick into gear. The airflow is sufficient for the included coils, I wouldn't call the airflow huge, but it is enough to work with the included coils. I mainly ran with it fully open as I like an airy draw. It does close down to sufficiently provide a restricted DTL vape or an MTL in a pinch if you desire. The airflow is smooth and does not whistle at all. I would have loved to see an RBA section included for the Ello atomizer, but I guess as this is aimed as a starter kit then most people wouldn't be in the game of rebuilding their coils just yet. So this is a subjective con for me personally. The screen is quite big considering the size of the iStick Pico. It is bright enough to be seen in pretty much any light and the readability of the screen is excellent. The screen displays all of the information you need in a big bright font which is great. On the display, you will see resistance, voltage, puffs, temperature/wattage, and coil material. The iStick Pico 25 is capable of firing up to 85 watts, however if you did vape consistently at such a high wattage you would chew through batteries like crazy. At around 50 watts, the battery would last me for most of the day, so I needed to make sure I had a backup with me in case I had heavier usage and was not going to have access to a spare. This will, of course, depend on how much you vape and at what temperature. The Pico finish seemed to hold up okay over the time of testing and it was not showing any signs of wear and tear. There was no chipping or fading on the paint which means it should hold up well to use. The whole kit is most definitely pocketable, which means it fits comfortably with you in your pocket or in your bag. I love the small form factor here, it's a huge plus for me when I don't want to carry a lot of gear around with me when I leave the house. All in all I think Eleaf have done a good job in updating the iStick Pico. I remember trying to fit a 24 or 25mm atty onto the original Pico and I couldn't. This was the limiting factor that lead me to not buy one when they came out. Now it accommodates 25mm, something they should have done from the start! As for the addition of the Ello tank, I think that it's a solid performing option that goes well with the mod for an all in one kit. The Eleaf iStick Pico 25 kit certainly looks good and is available in a wide variety of colors. It performs very well for the asking price, all you need to add is a battery and juice. So what is my Pico 25 review? 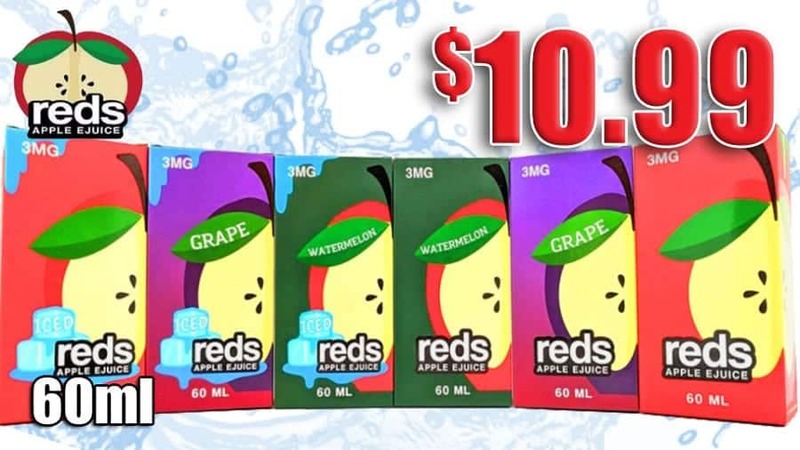 Would I recommend it for those who've recently jumped into the vaping movement? Yes I would. For the price it is a solid performing starter kit and will provide you with a satisfying experience for sure. Keep in mind that when you grow out of the Ello tank, you can still use the iStick Pico mod with other atomizers up to 25mm in diameter. I have no hesitation to tell you to try iStick Pico 25 if it's something that has sparked your interest. I hope this has helped you on your search for your starter kit. For more starter kits, check out our starter kit page.